EWG scientists reviewed Beyond Coastal Active Sunscreen, SPF 16 (2014 Formulation) for safety according to the methodology outlined in our Skin Deep Cosmetics Database. We assess the ingredients listed on the labels of personal care products based on data in toxicity and regulatory databases, government and health agency assessments and the open scientific literature. 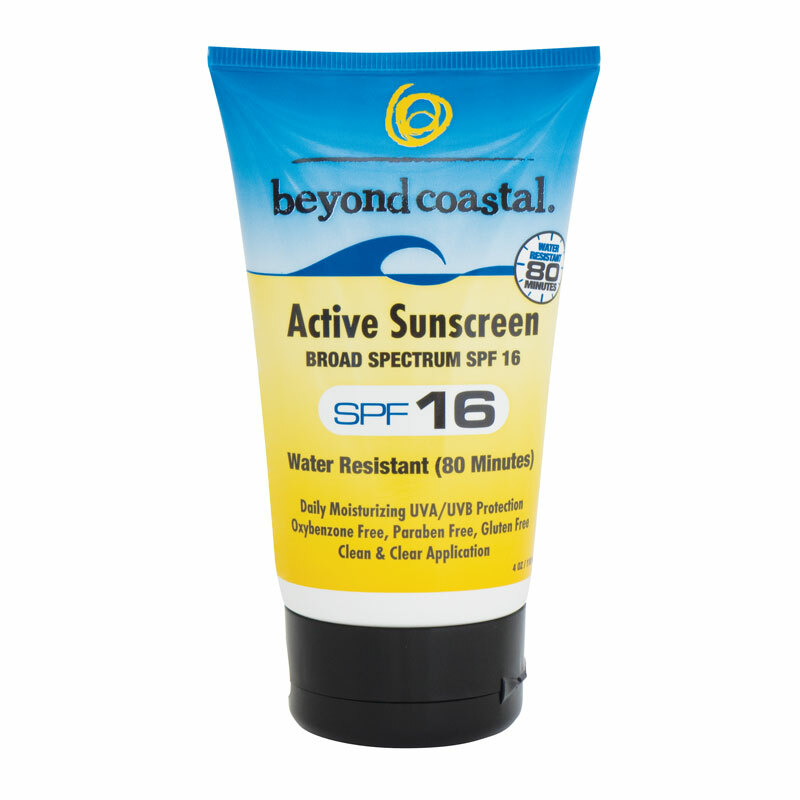 EWG's rating for Beyond Coastal Active Sunscreen, SPF 16 (2014 Formulation) is 2. Active Ingredients: Avobenzone (2.0%), Octinoxate (7.0%), Octisalate (4.5%), Octocrylene (3.0%). Inactive Ingredients: Algae Extract, Aloe Barbadensis Leaf Juice, Arachidyl Alcohol, Arachidylglucoside, Ascorbic Acid, Ascorbyl Palmitate, Behenyl Alcohol, Butyrospermum Parkii (Shea Butter), Caprylyl Glycol, Castor Isostearate Succinate, Cetearyl Alcohol, Cetyl Esters, Dimethicone, Euterpe Oleracea (Acai) Extract, Galactoarabinan (Larch Tree Extract), Glycerin, Glyceryl Stearate, Hydroxypropyl Methylcellulose, Ilex Paraguariensis (Yerba MatÃ©) Leaf Extract, Isopropyl Palmitate, Lauric Arginate, Polysorbate-60, Potassium Sorbate, Punica Granatum (Pomegranate) Extract, Rosa Canina Seed Oil, Silica, Tocopherol (Vitamin E), Water, Xanthan Gum.